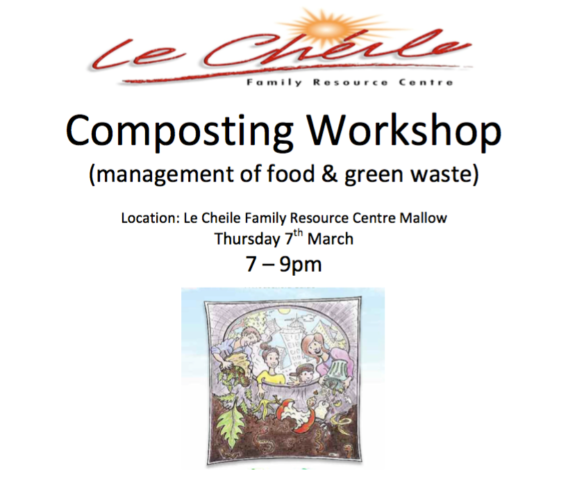 Le Cheile Family Resource Centre are holding a Composting Workshop (management of food &amp; green waste) on Thursday 7th March from 7pm-9pm at Le Cheile Family Resource Centre Mallow. 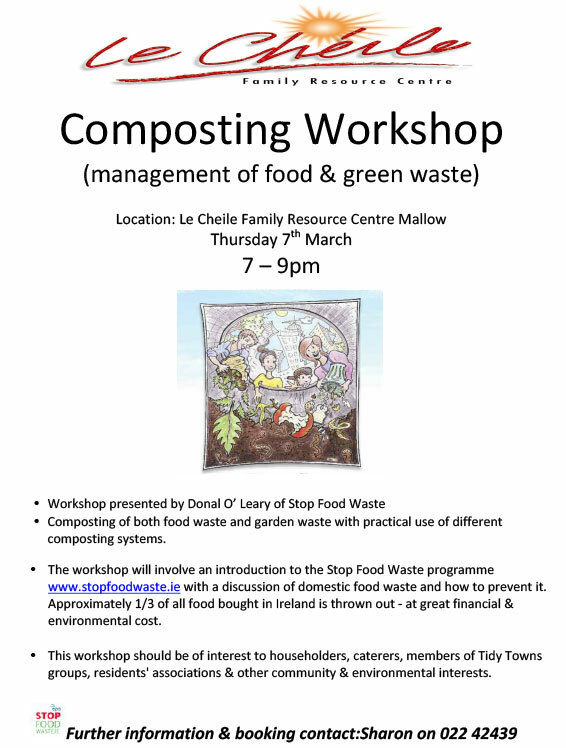 The workshop will be presented by Donal O’ Leary of Stop Food Waste. www.stopfoodwaste.ie with a discussion of domestic food waste and how to prevent it. groups, residents&#39; associations &amp; other community &amp; environmental interests.